Let me tell you though, homemade English muffins are delicious. They’re filled with “nooks and crannies,” essential parts of English muffins designed to collect melted butter and jam. In my opinion, that’s engineering at its finest (nooks and crannies > space shuttle). Light and fluffy, toasted or plain, butter or jam, they disappear quickly. I made six of them and, well, only three made it to the table (the other three were eaten over the counter-top, moist crumbs dropping to the floor to be licked up hastily by my dog). The only way to make a homemade English muffin better is, of course, to add a poached egg with hollandaise sauce. I remember one of my cooking instructors saying once that you can make poached eggs at home, but if you want Eggs Benedict then you should go to a restaurant. Well, ladies and gentlemen, you can now easily do both at home (and show-off a bit). A lot of people say that making a hollandaise sauce is hard to do, but I think that as long as you’re focused you should be fine. Hollandaise sauce is one of the five French “mother sauces” (Hollandaise, Béchamel, Espagnole, Velouté, Hollandaise, and Tomate) from which you can make a lot of other sauces like mayonnaise. 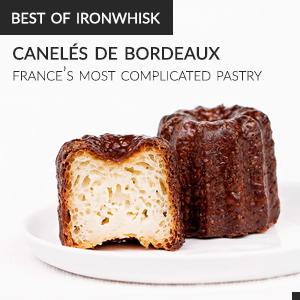 The only real trick is to make sure that you keep on whisking, no matter what. Your sauce (and therefore your happiness) depends on it. 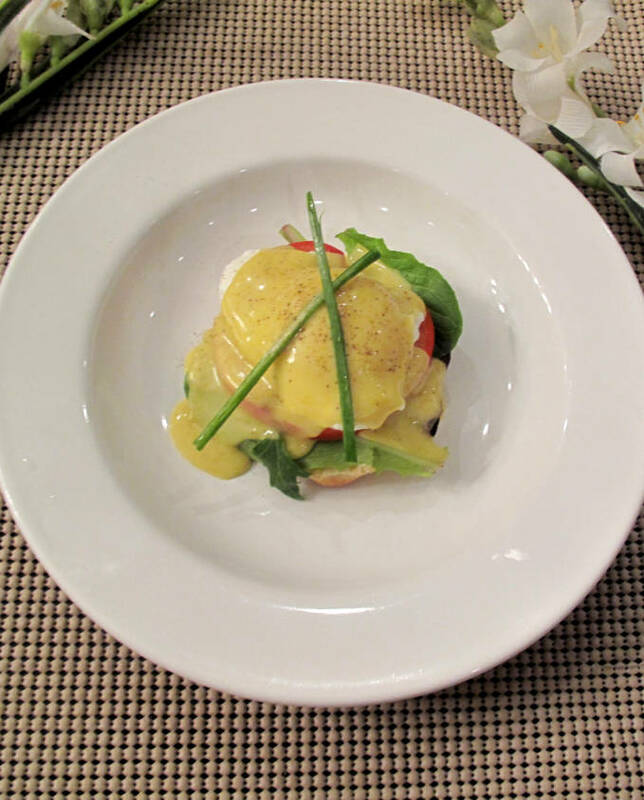 How to make homemade English muffins, poached eggs, and a delicious Hollandaise sauce. Canadian bacon, vegetables, salmon, whatever you'd like! I used tomato and mixed greens. In a large bowl, stir together the flour, sugar, salt and yeast. Mix in the shortening and ¾ cup of the milk. Add the remaining milk if the dough is too dry. Transfer the dough to a floured surface and knead for about 10 minutes. Place in a lightly oiled bowl and roll to coat. Cover the bowl with plastic wrap and let rise for about an hour. divide the dough into 6 equal pieces and shape into balls. Lay parchment paper on a baking sheet and spray or lightly coat with oil and sprinkle with cornmeal. Move the dough balls to the baking sheet evenly spaced apart (giving them room to rise more). Cover the pan loosely with plastic wrap and allow them to rise for another hour. Heat the oven to 350 F and heat up a skillet on medium heat on the stovetop. Brush the skillet with oil and gently transfer the dough balls to the skillet a few at a time. Allow them to cook on the skillet for 5-8 minutes, until the bottoms are nicely browned. Carefully flip and cook the other side for about 5-8 minutes more. they should flatten as they cook. When the muffins look as if they are about to burn, remove them from the skillet with a spatula and transfer quickly to a baking sheet. Bake at 350 for 5-8 minutes. do not wait until all of the muffins have been cooked on the skillet before moving them to the oven – as the first batch is baking, move the second batch of muffins to the skillet. Transfer the baked muffins to a cooling rack and let cool for at least 30 minutes before slicing or serving. If you want maximum "nooks and crannies" slice them open with a fork and not a knife. In the top of a double boiler (a pot with hot water over a stove and a bowl over it) combine beaten egg yolks, water and 2 teaspoons lemon juice. Whisk together and add 1-2 tablespoons butter. Place over the hot water and stir continuously. If your heat is too high and you do not whisk vigorously you will scramble your eggs! Continue adding butter a tablespoon at a time while whisking vigorously. Add salt, pepper and a dash of hot sauce. Continue whisking until hot and thickened. Remove from heat. 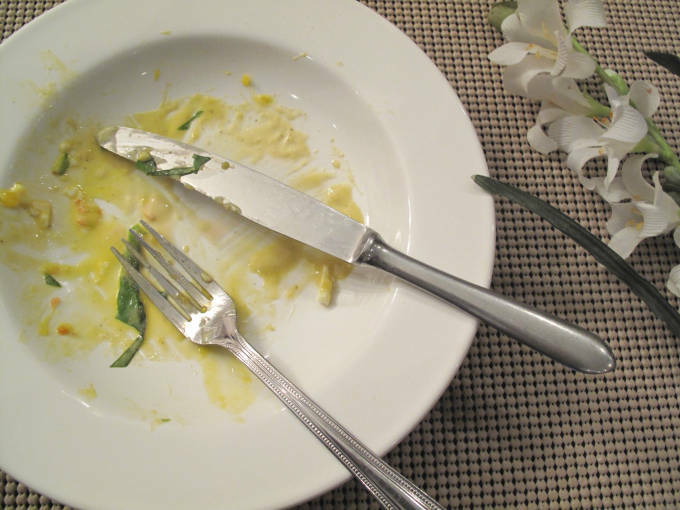 If your Hollandaise becomes too thick add a teaspoon of warm water or lemon juice depending on taste. Whisk well. This also works if the sauce cools down too much (add a bit of water and reheat). Heat enough water, on medium heat, in a pot so that the water level is about an inch below the top of the pot. Add the vinegar and salt. Crack an egg into a cup/bowl. Stir the water counter-clockwise if you're in the Northern hemisphere and clockwise if you're in Southern hemisphere (yes, I'm serious). Pour the egg from the cup into the water (the swirling motion of the water should make the egg whites gather). Cook for three-four minutes, depending on how runny you like your egg yolks. Using a splotted spoon take the egg out of water and dry it on same paper towel. Add your next egg into the water. If this is your first time poaching eggs I recommend doing one egg at a time, otherwise you can do a few more at once (depending on the size of your pot). Split the English muffins using a fork, not a knife. Add the vegetables, Canadian bacon (which is usually used in Eggs Benedict), salmon, or whatever you'd like. 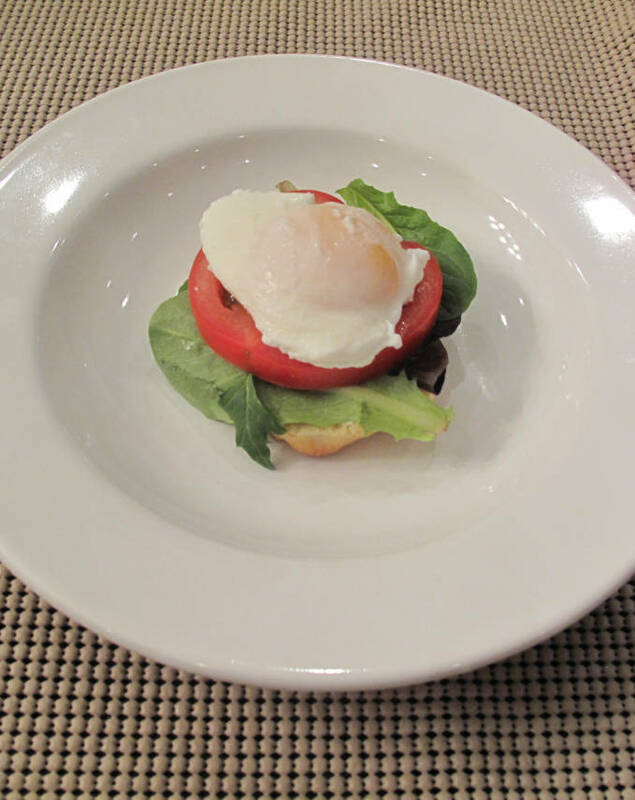 Place the poached egg on top. Pour hollandaise sauce over the egg and sprinkle pepper on top. This looks wonderful! I made my first hollandaise sauce this year in my culinary arts class at school. It was hard but successful! You’re not only a great cook, but you’re quite the story teller as well. Beautiful! Eggs Benedict are one of my all time favorite foods! Great job making your own english muffins, too, that is something that I have been wanting to do for a while now.